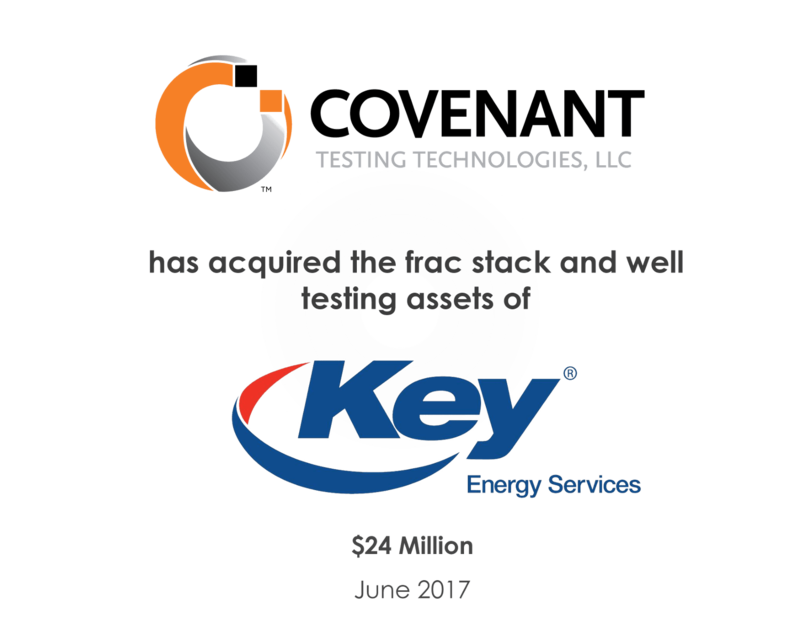 HOUSTON, TX, June , 2017 – Covenant Testing Technologies, LLC (“Covenant”), a leading provider of flowback and well testing services in North America has closed on the acquisition of the frac stack and well testing assets (the “Assets”) of Key Energy Services, Inc. (NYSE: KEG), for total consideration of $23.7 million, consisting of $19.0 million of cash and a convertible preferred equity security interest in Covenant representing $4.7 million of principal value issued to Key. 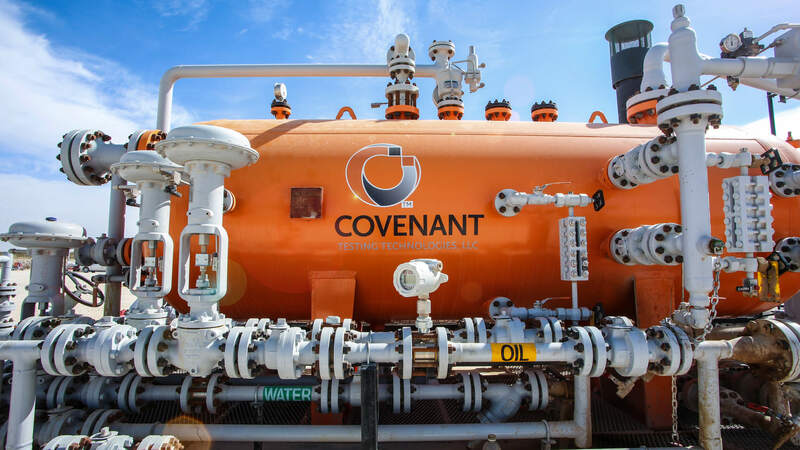 Covenant is an affiliate of Catapult Energy Services Group, LLC, an oilfield services portfolio company funded by NGP and NGP Energy Technology Partners. Simmons & Company International® | Energy Specialists of Piper Jaffray® served as the exclusive financial advisor to Covenant in the transaction. Key Energy Services is the largest onshore, rig-based well servicing contractor based on the number of rigs owned. 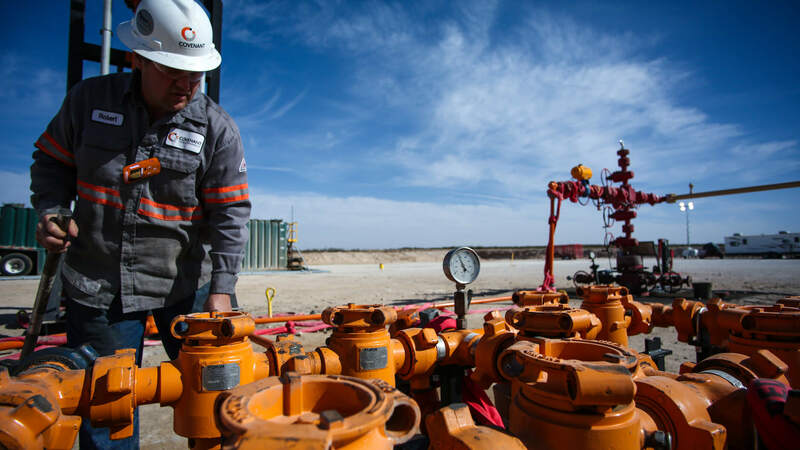 Key provides a complete range of well intervention services and has operations in all major onshore oil and gas producing regions of the continental United States and internationally in Russia. Founded in 2013, Covenant combines leading technology with some of the most skilled and knowledgeable operators in the business. 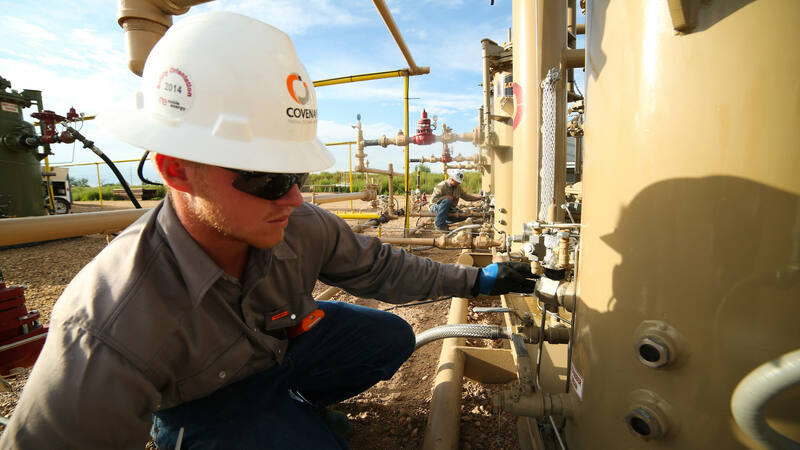 With operations in the key areas of the Permian Basin and Niobrara Shale, Covenant provides best-in-class flowback and well testing services with a special focus on horizontal and pad drilling for the upstream oil and gas services industry. Covenant is in affiliate of Catapult Energy Services Group. Founded in 2013, Catapult uses an innovative approach to establish and invest in start-up oilfield services companies. Led by experienced entrepreneurs, Catapult is funded by NGP and NGP Energy Technology Partners. Founded in 1988, NGP is a premier private equity firm in the natural resources industry with approximately $17 billion of cumulative equity commitments organized to make strategic investments in the energy and natural resources sectors. For more information, visit www.ngpenergycapital.com. NGP Energy Technology Partners (“NGP ETP”) invests equity capital for growth and buyout transactions in companies that provide products and services to the oil and gas, power, environmental, energy efficiency, and alternative energy sectors. Founded in 2005, NGP ETP manages approximately $500 million in committed capital and is led by investment professionals that have extensive experience investing in those subsectors. The investment team strives to partner with strong, experienced management teams and work with them to create significant value. Covenant Testing Technologies is pleased to announce the launch of its FlareZero Reduced Emissions Completions Technology.